CONNECTED. INDEPENDENT. SUSTAINABLE. WATERFRONT LIFESTYLE. 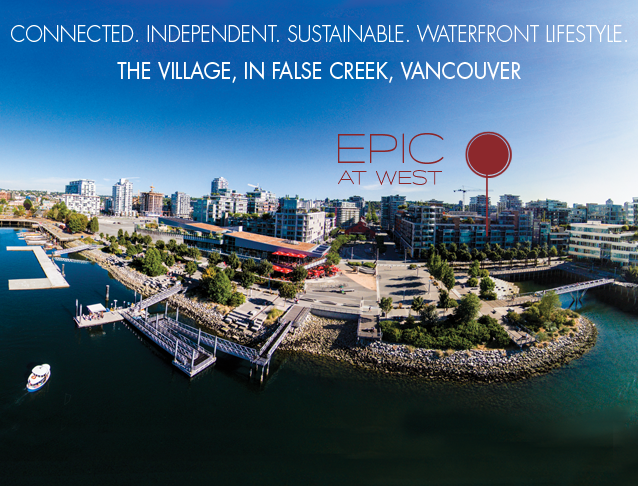 Here at EPIC AT WEST, it is about being a part of something grand on a global scale, engaging with your neighbors, savoring the breathtaking scenic beauty of Vancouver, connecting with nature all year round and acting on the endless adventures that await you each and every day, in every direction. It is vibrant, dynamic and deserving of the World's attention as one of the BEST brand new waterfront communities to live in. EPIC AT WEST is the final jewel in Executive Groups multi-phased development called, Residences at West. 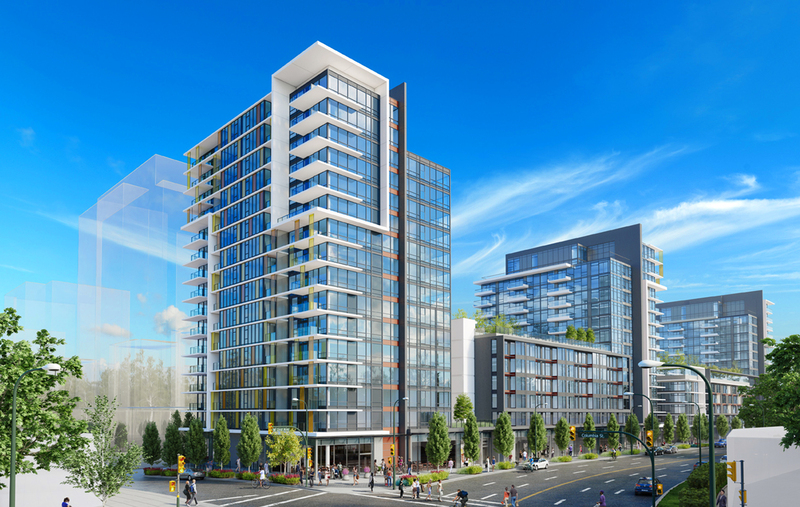 Changing the face of False Creek forever and spanning an entire city block with three towers complete with an 18,000 sqft. daycare and Shops at West offering over 43,000 sqft of upscale retail - all this, at your doorstep. Saving the BEST for last, EPIC AT WEST is the much anticipated finale and will exude sophistication and distinction in exceptional ways from the bold architectural design, the exquisite European inspired interiors to the superior construction quality. EVERY DAY, ADDING VALUE TO YOUR LIFE IN LIMITLESS WAYS. At EPIC AT WEST, healthy living is readily available and easily accessible offering you , from the most leisure to the most active of lifestlyes - you decide.